Las Vegas Real Estate Blog: How did 9/11 affect Las Vegas Real Estate? How did 9/11 affect Las Vegas Real Estate? 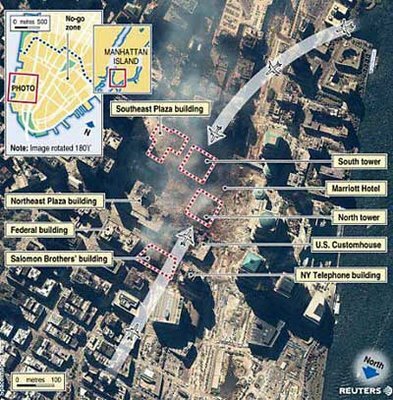 The events that occurred on 9/11 2001 in New York City played a large role in the Las Vegas real estate market. Strangely enough, the effects weren't felt until 2003 and they were part of a huge ripple effect. Today's market still shows signs of the boom it created in Las Vegas housing sales. In the 90's many Las Vegas home builders took part in the development of the Las Vegas valley. They were typically small and built small groups of homes across the slowly developing valley. By 2001 some of these builders and others moving into Las Vegas from other real estate markets had bought up these smaller companies. When the tragic events of 9/11 occurred they put a hold on all new housing permit purchases and carefully proceeded with the development of the land they already had. Well, the pause in new permits didn't hit the buyers market for a couple of years because of the land and permits already purchased. However, within a couple of years new homes became scarce as the builders finished up all of the existing projects and waited through the early development stages of the post 9/11 permit purchases. Along with interest rates and an influx of buyers from markets like California the shortage in new Las Vegas homes cause a huge demand on resale inventory. Prices rose and a fiery red market followed. See the full 9/11 affects Las Vegas housing article. Las Vegas real estate agents remember the amazing events in 2003 as home sellers watched their home prices rise through the roof. In some cases bidding wars took place on the front lawn. The demand was so high homes would not make it to the MLS for marketing. A yard sign would be placed and the phone would ring. Today's Las Vegas real estate market is adjusting to the rapid increase in prices it saw. It has leveled out as home listings continue to increase. Once again Las Vegas buyers are in the driver's seat. Our hearts go out to those directly affected by the 9/11 events.